AVEENO® HYDROSPORT WET SKIN SPRAY SUNSCREEN BROAD SPECTRUM SPF 30 is rated 4.1 out of 5 by 11. Sweaty skin is no match for this sport sunscreen. With a water and sweat-resistant formula, this spray is ideal for active days. The broad spectrum SPF 30 formula is uniquely formulated with natural lotus complex for strong protection against UVA and UVB rays. And score, it’s lightweight and non-greasy. For external use only. Do not use on damaged or broken skin. When using this product keep out of eyes. Rinse with water to remove. Stop use and ask doctor if rash occurs. Keep out of reach of children. If swallowed, get medical help or contact a Poison Control Center right away. Caution: Flammable. Contents under pressure. Do not use near fire, heat or while smoking. Do not puncture or incinerate. Store at room temperature below 120°F (48°C). Use only as directed. Intentional misuse by deliberately concentrating and inhaling the contents can be harmful or fatal. Rated 4 out of 5 by Beach lover from My skin doesn't break out with this product. We love the beach but as I have gotten older..lol.. my skin has become more sensitive. Cannot use Coppertone or Banana Boat products at all. This spray is the only thing that doesn't make me break out on arms and legs. Love it!! The only issue is that NO store, CVS, Walgreen or Walmart carries the spray in my town...I have to order online!!! Please fix this!!! Rated 5 out of 5 by JLC17 from Only sunscreen spray I will use Does not feel heavy or greasy like many sunscreens. I accompany it with an Aveeno moisturizer with SPF for my face. I am fair and burn easily, this has always protected me from burning. Effective even when I'm in and out of the pool and can reapply to damp skin. Rated 1 out of 5 by Anonymous from HORRIBLE This product does not work. My friend and I both used this product many times throughout the day and received HORRIBLE burns over our entire bodies. Another friend used the same level sunscreen but a different brand and did not burn. This product is the worst sunscreen I have ever used. Will never use again or recommend. Rated 5 out of 5 by Alyssa from I love, love, love this product. I am on medications that make me very sensitive to the sun. I have had a lot of difficulty finding sunscreen that truly protects from burns. But hydrosport works like a charm. If I'm out in the sun all day I only have to apply twice! Rated 5 out of 5 by Dani from Fair/sensitive skin I use Aveeno mostly I can find things that my skin doesn't react to. I love this spray, I was nervous at first because I didn't want to react to it but I never have. I usually use something else on my face but I have used this on it when I haven't had anything else with and I don't have issues which I love because my face is my main problem area. 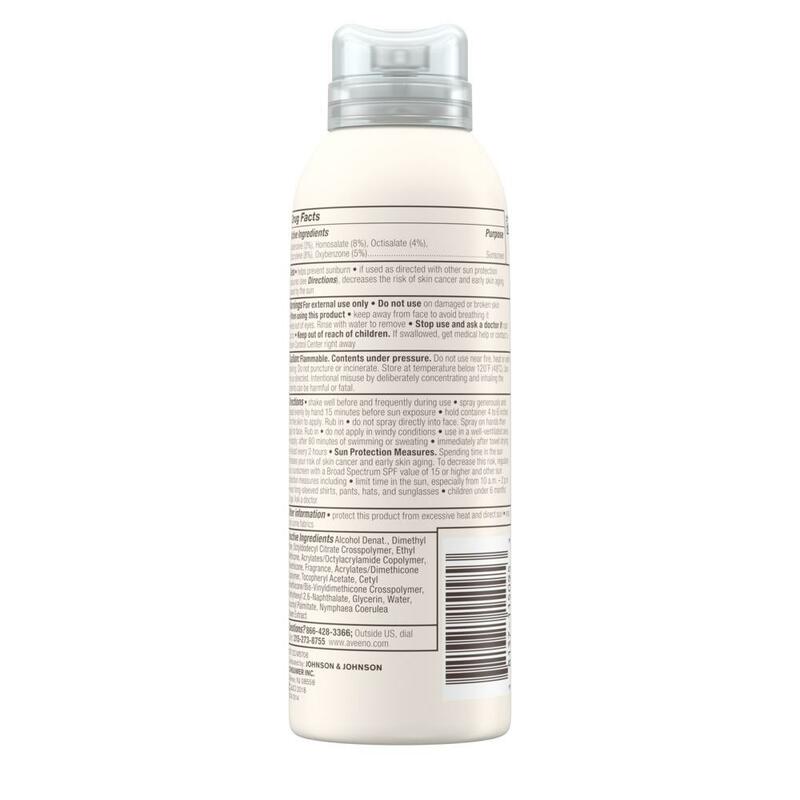 Rated 5 out of 5 by hugvt from Great find I had a coupon for this and although I have mostly used store brand sprays, I fell in love with this product! I will add, I was at first worried about having to rub it in after spraying it on. After using this, it made my skin feel super soft and the protection was great. I spent a week at Myrtle Beach and using this product myself and my daughter did not burn. I did reapply every hour due to being in the water so much. I did not use this on soaking wet skin but it was applied a couple of times to "damp" skin and rubbing it in was not a problem. I will purchase again.